Finally got my jewelry making mojo back after Bead Fest, I found time this weekend to make a few pieces with new Humblebeads and beads that I picked up at the show. 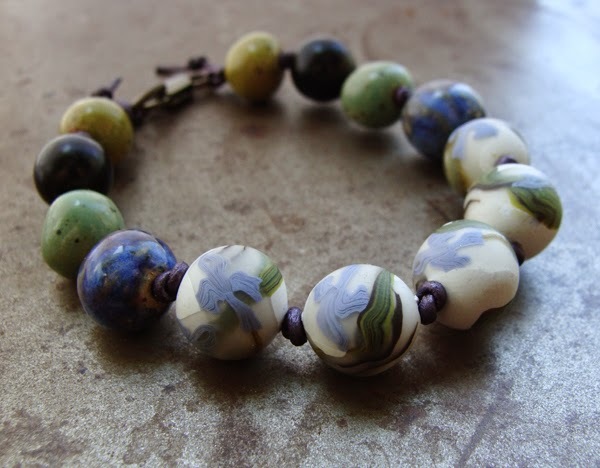 The iris bracelet above pairs up my new beads with a new instant favorite - White Clover Kiln! 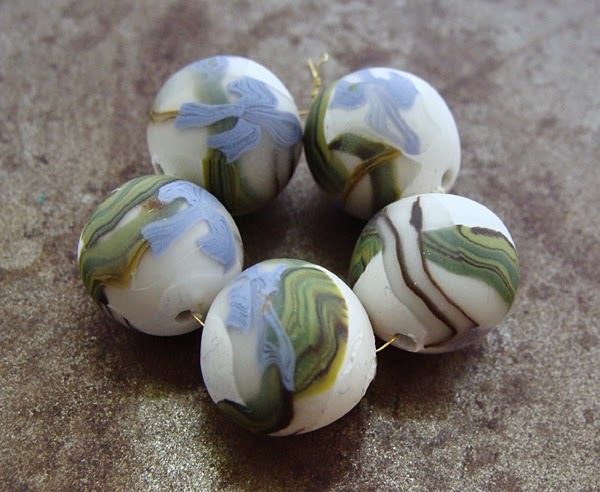 Mary makes beautiful round ceramic beads in colors that look like we sat down and made beads together. 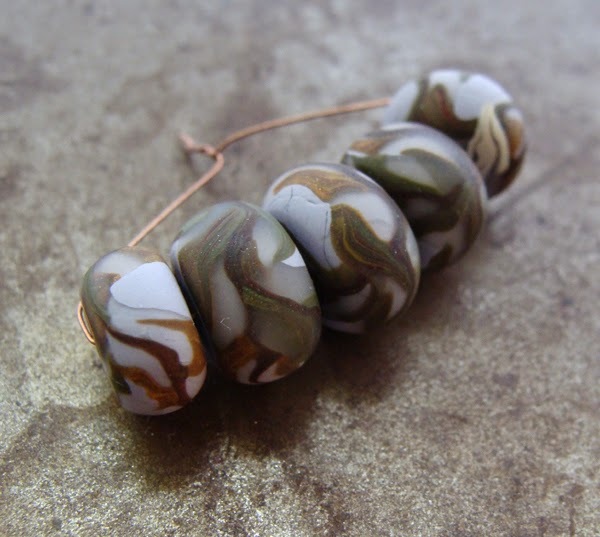 Humblebeads and White Clover Kiln - they were made for each other! The bracelet is knotted on metallic colored leather cord. And finally I took the Art Bead Scene's monthly challenge. 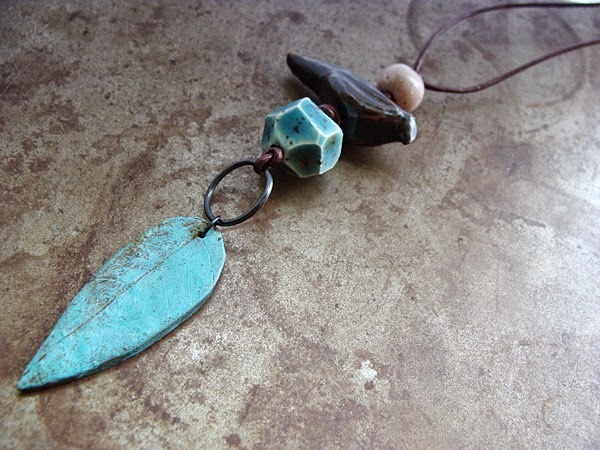 You can see all three pieces that I made here and read about the art beads featured. My Etsy shop is filled with new beads from Bead Fest, be sure to stop by and see if something catches your attention. Lots of new adventures on the horizon, including moving into a new house with a bigger studio. Yeah! It's only about 10 minutes away, but a move is a move. Boo! Hmm, I need to hire someone that could pack, they would know exactly how to organize my random junk and could weed out all the things we don't really need. Oh wait, that's like a fairy godmother, not a mover. Well, that would work too! HumbleHoliday - Pet ornaments, decor and holiday cards coming soon. 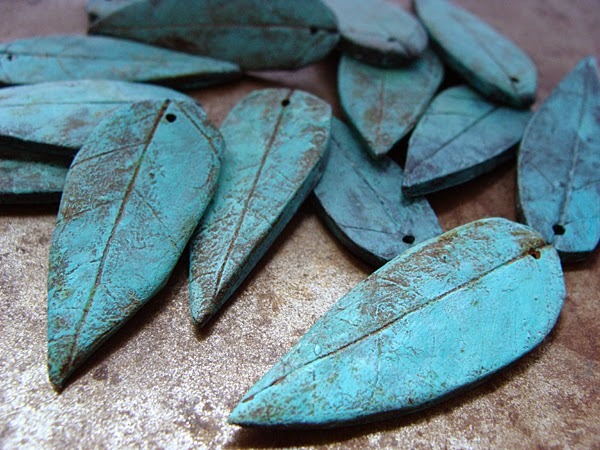 Polymer Clay Cane Design Bootcamp - starting this week! 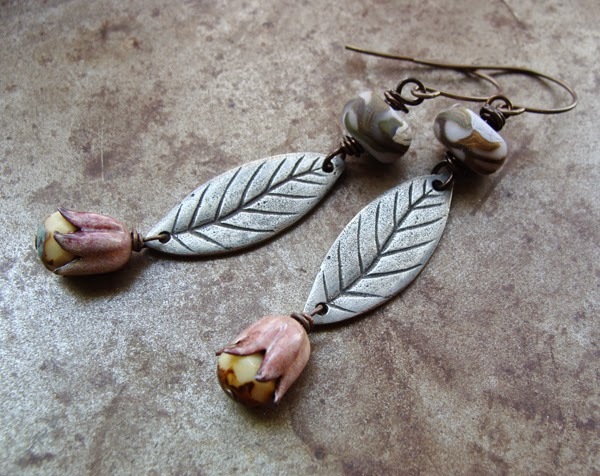 Inspired by Nature Fall Retreat - I have two openings due to a cancellation. Baltimore Bead Society Workshop and Presentation in November. Details soon.